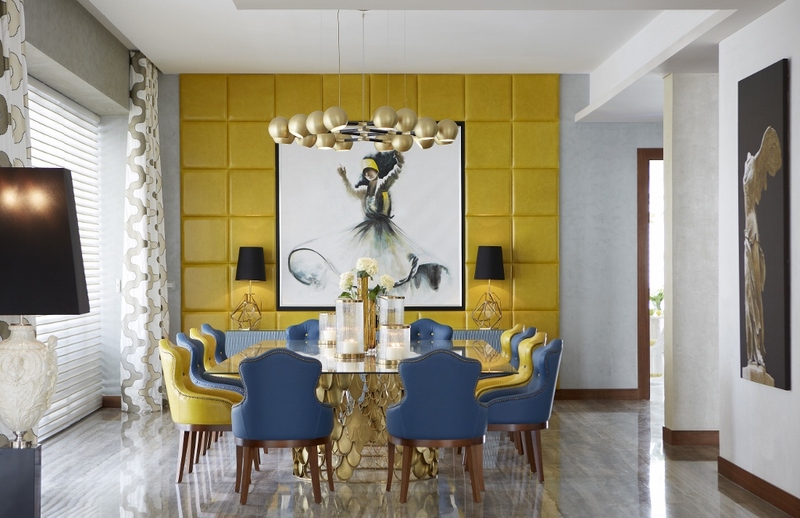 Emirates Hills in Dubai is the latest interior decorating project in which BRABBU’s pieces were included. 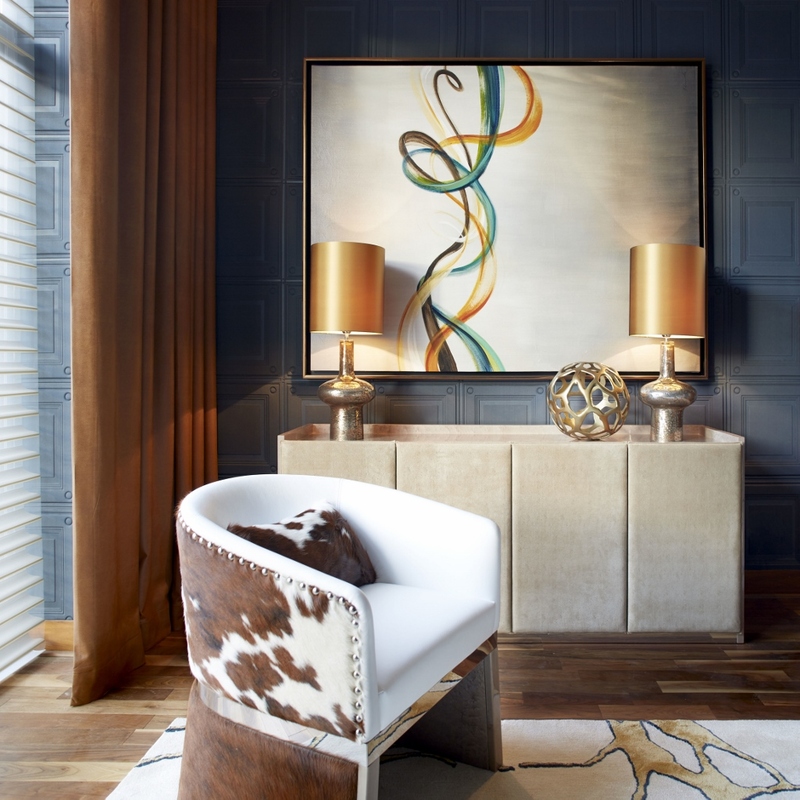 The project is signed by Nikki B Interiors, a boutique design practice, led by Nikki Bisiker. A bold and provocative luxury villa with 5 bedrooms and 1391m² that represents clearly the studio’s interior decorating philosophy. Each room has its own style, color contrast, materials, textures and patterns, however the overall it’s harmonious. That is the uniqueness about this project. From BRABBU, the pieces included were HORUS Suspension Light, AGRA Dining Table and a KOI Dining Table II. HORUS is a contemporary ceiling light that’s an atmosphere creator, unifying all the ambiance’s elements. Handmade in brass, the structure is also copper plated and matte black lacquered. The shaders are made from brass. AGRA dining table is an impressive display of craftsmanship and elegance. The use of marble combined with brass details makes it a one of a kind design piece. KOI Dining Table II is a stand out dining table for 12 people, an attention catcher enhancing every dining room set. Every room narrates a story told by the pieces that were chosen to compose the ambiance. 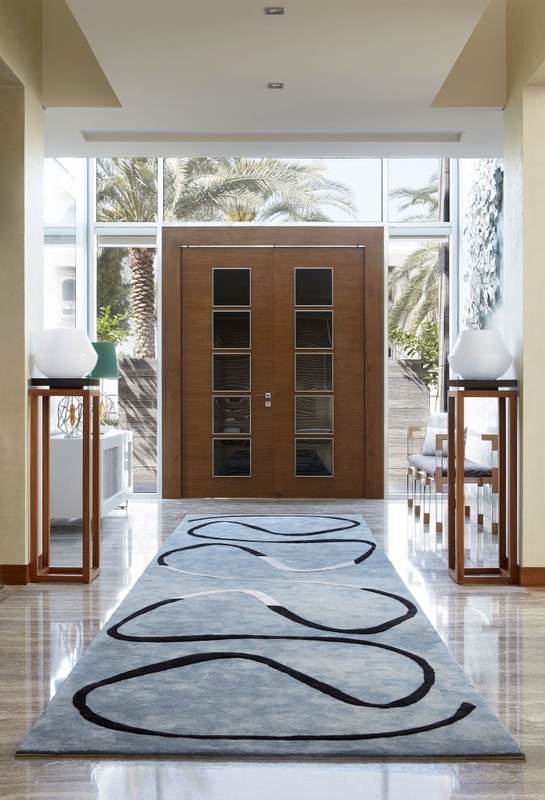 Since the entrance hall to all the rooms of this luxury villa an exquisite experience starts unfolding itself, providing to its inhabitants the best of what can be expected from a high end cosmopolitan lifestyle. Do you like this style of interior decorating?